The Prosper Community Library is a great place for bibliophiles of all ages. The library is open to the public. 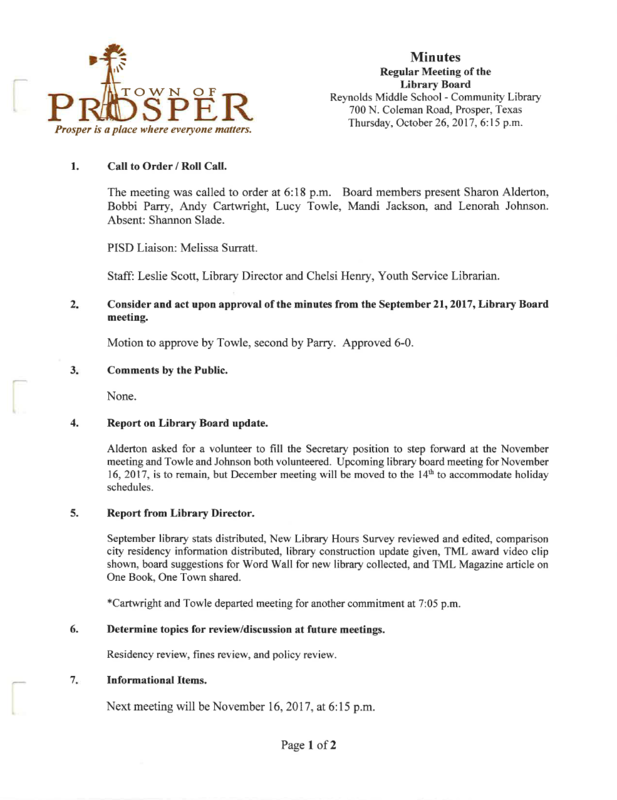 Board meetings are on the third Thursday of the month at 6:15 p.m., at the Prosper Community Library, located at 200 S. Main St.